I’ve been approached three or four times, over the past couple of years, for information on how we do this, so I thought I’d write a quick post for those who are game to give it a try in their own Departments. About four years ago we started making films as but one more way to reach out to a variety of audiences — from our current majors/minors to prospective students and grads, along with parents and other faculty and administrators, both on and off our campus. Initially, a student worker in our main office (let’s call her Andie) would sign-out equipment from a campus media lab where undergrads could get equipment to use (for free). And, using iMovie on a MacBook in the main office (the software comes with the computer), we dove in. Apart from posting a slide show or two of our student events for the year, among our first videos was made by me driving Andie around campus and around town, while she leaned out the passenger window and filmed. A grainy sepia effect and some basic text as well as a strategic song selection that Baby Boomers would appreciate led to our inaugural welcome back video. Ted Trost was Chair that year and he soon agreed to purchase some equipment for the Department, since we were beginning to consider filming our own public lectures as well and thought that we shouldn’t rely on students to be signing-out the equipment always. (Sure, there are services on campus that do this sort of filming but it struck us as better for a wide number of reasons [i.e., sometimes they charge!] to just film them ourselves, posting content on our own blog instead of on the university’s own iTunes account.) So, after consulting with a technology office in Arts & Sciences, to help us figure out what we needed, we settled on the following items — which we still use today, about four years later. suggesting they were a sound investment. And that’s what you see pictured above (excluding the tripods, of course). We then found that iMovie wasn’t quite able to do what we wanted so we eventually invested in new software that we also still use today: FinalCut Pro X ($299.99). Your campus may have a site license for it as well as a media center that offers tutorials — look into it. But then again, the free iMovie might be all you need. 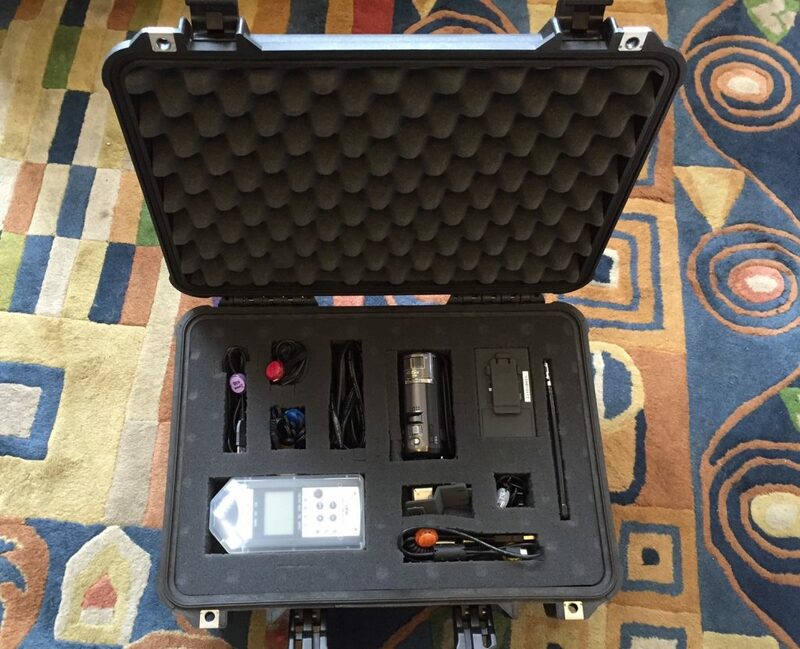 So, excluding the software, for a little over $800 we were able to get our own video kit (it’s traveled around, so the case is worth getting — and lock it up somewhere safe). We find that the lapel mic and the Zoom mic (sit it on a nearby table or the podium itself) are often needed together — what one misses the other picks up; and sometimes a podium mic, needed for amplification in the lecture hall itself, conflicts with the lapel mic, adding feedback for which the Zoom mic’s audio track can compensate. Like anything that goes out in your Department’s name, someone needs to be involved to think through what you’re posting — how does it reflect on the unit, to whom is it aimed, who does it portray, how much work will it be to film/edit/post, etc. Movies don’t make themselves. Here at UA the movies are really a production of myself in conversation with our student workers — we think up an idea and then plan it out; we were fortunate enough to hire Jared Powell while Andie Alexander was still around, and now we have Caity Walker while Jared is still here, so that the cumulative knowledge is passed on and no wheels are reinvented. (The future is based on institutionalized knowledge, no?) If we had to start from the ground up every year it might not even be worth doing (i.e., although I’ve taught my share of students, over the years, how to use Dreamweaver to edit web content, the students’ knowledge base far exceeds my own when it comes to the movies); for the quality of the films has increased quite a bit and that’s all based on their “trial and error” practical experience. (Ever try holding a camera and smoothly panning? Not easy.) Sure, we had to scrap a few because the lighting turned out to be poor or the audio wasn’t there. Note to self: check the batteries before filming and make sure the camera and mic are switched on. But the pay-off for that investment in time and resources is worth it, I think — it injects a certain spirit in the students who are making the movies and thereby expressing a creativity and ownership for the department, and also into the students who are featured in what we do. And lots of students (even grads) have been featured. The plots are often simple but, I think, effective. So at any given moment we likely have 2 or 3 different movies at various stages of production in the main office (they take longer to complete than you might think), like the lecture with Lee McCorkle that we filmed not long ago and which Caity is now working on, adding his PowerPoint slides to the video. We’ll soon post this year’s Aronov Lecture with Eddie Glaude, and, over the summer. we’ll be making one or two more for sure (such as that new welcome back video). In fact, just the other day, an unnamed colleague came by with an idea for a video to promote a minor he directs. A couple years later we also got a GoPro Hero4 Silver (for about $399.99 — we splurged, I know); we’ve used it less than I had hoped but have made 5 or 6 films with it already, such as Mike Altman wearing it while biking to work, for one of our welcome back videos and then one year we clipped it inside our tent during “Get On Board Day” (when incoming students learn about all sorts of student clubs on campus), to show how much action there was around our table. I’m sure we’ll figure out more uses for it but filming is just one of many prongs in what a Department does from day to day, of course, and so finding the time and creativity to do something worthwhile, something that will catch your students’ and colleagues’ attention, can sometimes be a challenge; but, at least in our experience, it pays off. 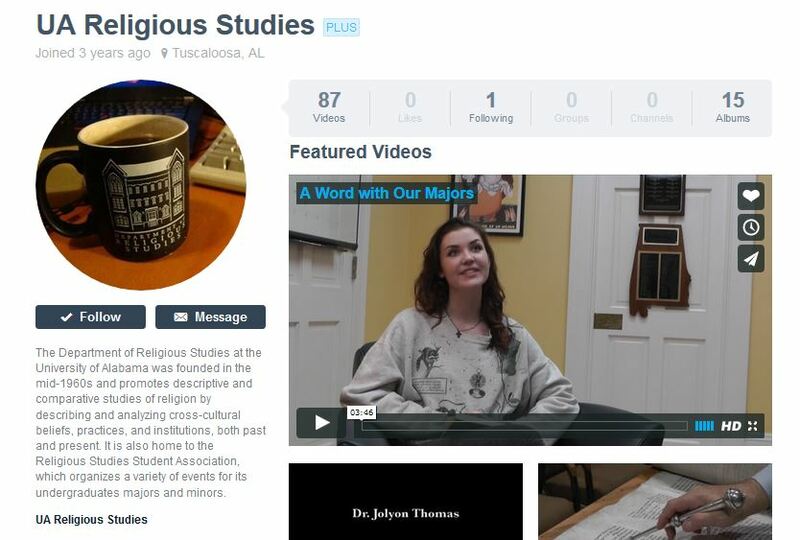 This entry was posted in Faculty Blog, Relevance of Humanities, Religion in Culture and tagged Check List, FIlming, How To, Movies, Promotions, Public Humanities, Video, Vimeo by Russell McCutcheon. Bookmark the permalink.